The Nintendo Switch is slowly becoming an arcade game player’s best friend. Nintendo’s Arcade Archive collection, alongside a healthy smattering of bullet hell shooters and pinball games, bring classic experiences to the console. That also means playing vertically, which can be a pain in handheld mode. A Kickstarted add-on aims to fix that. 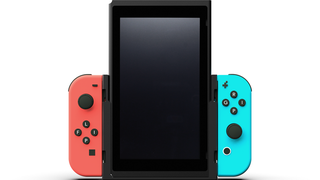 The Flip Grip is an accessory that allows players to enjoy vertical screen gaming while playing the Switch in handheld mode. Games like Ikaruga or the Arcade Archive release of Donkey Kong allow players to rotate their screen and play down its length. The Flip Grip slides into your Switch as a sort of dock, flipping the screen sideways. I play a lot of bullet hell games on my Switch, including the absolutely awesome Danmaku Unlimited 3. Getting a chance to lounge in bed and play it vertically—as God intended—seems cool. The accessory is being Kickstarted by Fangamer in a project that includes Retronauts co-host and former journalist Jeremy Parish. It had a goal of $42,500 dollars and met that milestone easily. The campaign now sits at $81,284 with 14 days to go. Pledges of $12 or higher will receive the Flip Grip, which is tentatively set to ship in November this year.